You asked someone a question but they answered an entirely different question. Or you explained something as clearly as possible but, by the response, it was as if you were speaking two different languages. 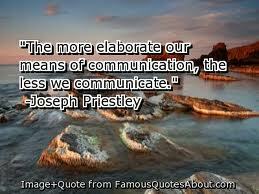 Communication was hard enough before the onslaught of technology, like e-mail, texting, Facebook, and Twitter. Don”t get me wrong. Those avenues can be very effective. I use three of the four myself. 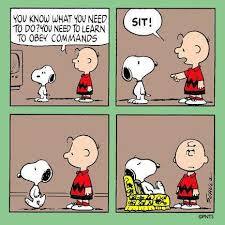 But they can muddle communication if we’re not careful. It can be difficult – if not impossible – to properly convey tone, context, and emotion – emoticons notwithstanding – much less the facts or pertinent information. It’s not like when people used to write good old fashioned letters. Those took time, whereas technology is pretty much instantaneous. If someone was upset and started writing a letter, chances were the very act of writing the letter helped to resolve the emotion at least in part. 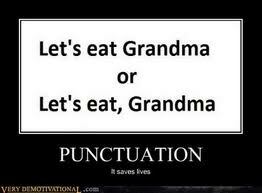 Or they ended up rewriting the letter to soften the message. Or they ended up not even sending the letter. On the other hand, how many times has someone fired off an e-mail, text, or tweet in the heat of the moment and lived to regret it? Or posted something on Facebook and lost their job? Two minutes to write, two seconds to send, and regrets to last much longer. Technology removes time for thought. It can also become more convenient than personal connection, whether by phone or face-to-face, to the point where communication by technology takes precedence. 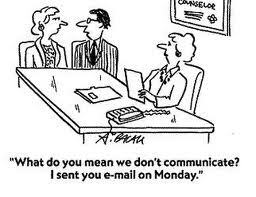 Personally, I think technology can enhance communication if it’s used as a balanced approach. But, when it’s not, it often just complicates things. A large part of my job necessitates using proprietary software that can’t be accessed without making a formal request by e-mail. Early last week, I received confirmation that I had been granted access to one of the programs but I still wasn’t able to sign in. So, I started the day by spending considerable time on the phone with a nice computer guy in Arizona. Even though he understood what the problem was, he wasn’t able to successfully resolve it, and so referred me to another IT division. However, when I asked for the phone number, I was more than a little surprised to be told that the division is only accessible by e-mail. Maybe it’s just me but it seems like communication isn’t a priority when you’re restricted to e-mail access only. But, you work with what you’ve got. So I sent as succinct an e-mail as possible. They responded by trying to solve a problem I didn’t even have. So, I re-worded the e-mail, included the same error message, and tried again. That got me a prompt referral to yet another IT division, this one in the Philippines. I was eventually told – by e-mail, of course – that the problem was fixed. But, it not only was not fixed, it was worse. At the end of four hours and counting of trying to solve one problem, all I had to show for it was two problems. And a headache behind my right eye. Ok, forgive me for stating the obvious but it seems that when someone in Canada has a problem, going through the United States and the Philippines to fix it is the very long way of solving it. 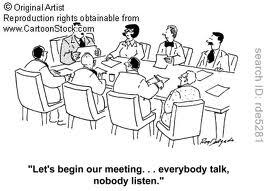 But, despite my communication challenges, both problems were resolved before the end of the day. You see, I’d requested access to the program and that’s exactly what I got. Access. Nothing more, nothing less. I couldn’t use the program, just access it. I honestly did not see that one coming. I technically couldn’t fault them because they’d given me exactly what I’d asked for. I just didn’t think I’d be taken quite so literally. I thought it went without saying that I’d want to use the program too. Apparently not. And, so one of the great rules of communication (as determined by me…) is never assume. 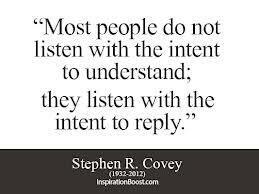 It’s really made me stop to consider if what I want to communicate will be properly heard and understood. 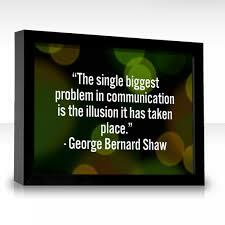 If I say what I mean but the recipient misses the point, I think Paul Newman called that failure to communicate. Sometimes the smallest change in what we say or in how we say it can make all the difference. So, I suppose you’re thinking that my work computer problems must be a thing of the past by now. Never in my life have I had to list in so much detail every single aspect of every single program that I want to access and use. And still not have much success at accessing or using it. Communication keeps bouncing between the three countries, and I can’t really say that I have a whole lot to show for it just yet. We may all speak English but clearly we’re not speaking the same language. I’ve decided that driving – particularly in rush hour traffic – is an excellent litmus test of character. I both live and work close to one of the city’s major arteries, just 19 km (12 miles) from one to the other. Six lanes of traffic on a divided highway. 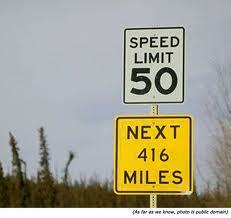 Speed limit 100 km (60 miles) per hour. When I travel to work each weekday at 6:30 a.m., traffic is relatively heavy but moves along briskly. It typically takes 12 to 15 minutes to get to my destination. My after work commute is an entirely different story. When I leave work at 4:00 p.m., traffic is ‘stop and go’ most – if not all – the way. It typically takes up to 63 minutes to get home. Last Friday, it took 59 minutes. I had ample warning. As soon as I started the car, the radio host cheerfully announced that all major arteries were clogged due to various mishaps, and that the commute was going to be even slower than usual. I had 59 minutes to consider that statement. Here’s what I came up with. When you go on a trip, before you even leave home, you carefully decide what to pack in order to make the journey as enjoyable as possible. No one starts packing in the middle of a trip. And anyone who’s ever not packed well will tell you that the trip instantly becomes more stressful. Minor annoyances become magnified. Nothing seems to go right. Tempers run short. That analogy carries over to driving in rush hour traffic. You’re going to be on the trip regardless, so it only makes sense to plan ahead to ensure it will be as stress-free as possible. It pays to pack patience. 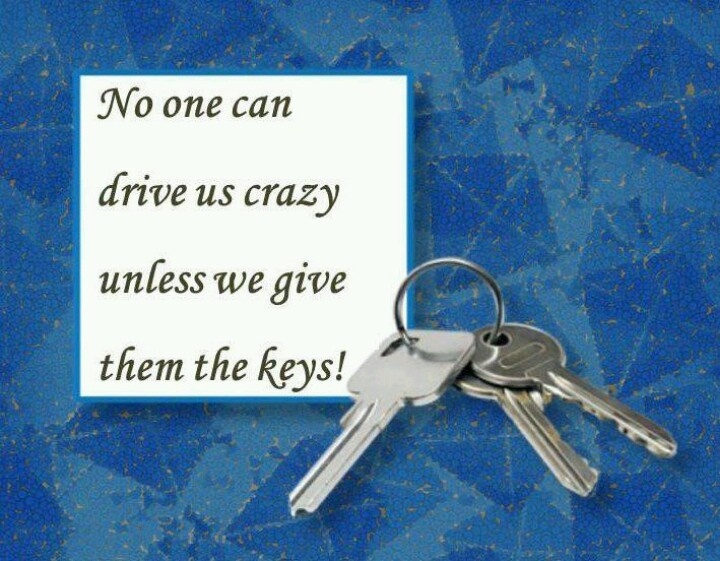 I’ve seen perfectly nice, normal people get into their vehicles and then somehow lose their minds behind the wheel. Cutting off people, driving on the shoulder, weaving across lanes, recklessly speeding, taking risky and unnecessary chances, road rage, and more. 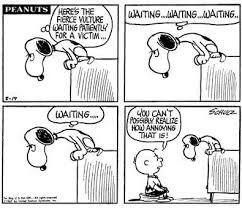 I see the results of impatience every day. Someone rolls their car after losing control when they sped across three lanes of traffic. A small car sustains heavy damage when a Ford F-150 rams into the back. Multiple car pile-ups. Injury accidents. 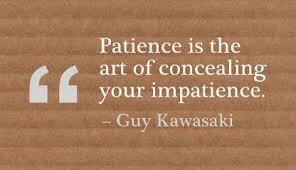 What I don’t see very often is patience. So, yesterday, I decided to be intentional about it. I packed late but at least I packed. 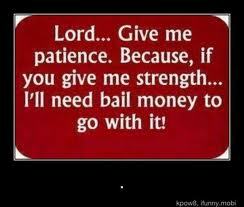 I’m usually reasonably patient in traffic but I’m no saint. Things get to me as much as the next person. I can always use improvement. I can honestly say that it really did help to focus on being patient right from the beginning. For the most part, I was able to ignore the sometimes ridiculous antics of other drivers, and to stay relatively relaxed as I inched along at a snails pace. At the 51 minute mark, a small car cut in front of me without warning, and promptly slammed on his brakes. I came to a stop thisclose to his back bumper. The word ‘jerk’ was possibly uttered. Ok, probably uttered. But I did only whisper it (true story..). So… I was less than perfect. But, just imagine if I hadn’t been focusing on patience in the first place. 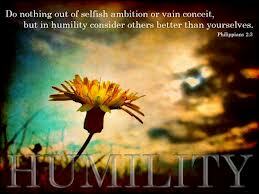 I find humility to be an interesting attribute because, if you think you have it, you almost certainly don’t. It’s one of those things that others notice about someone else while the person in question generally remains oblivious. 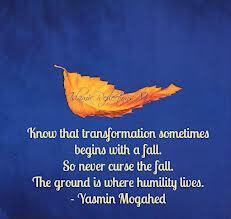 The thing about humility is that you don’t become humble by trying to be humble. You become humble by taking the focus off yourself. That’s easier said than done because most people like attention whether they admit it or not. I’m not saying attention is bad, in and of itself… it’s how you handle it. I think that’s why the more attractive, charismatic, famous or popular a person is, the more difficult it is for them to be humble. It takes tremendous discipline to not believe your own press. I am a huge C.S. Lewis fan. He had the gift of clarity. 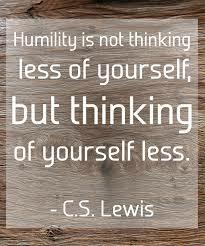 So, not surprisingly, I love his definition of humility. I don’t know about you but I’ve met lots of nice, kind and/or caring people. 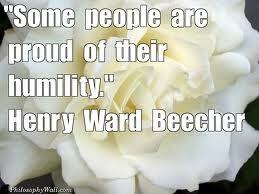 But I’ve rarely met truly humble people. Humble people touch your life in a deep and unique way. You don’t forget them. It’s also not unusual to find that humble people have experienced deep hardship, failure and/or loss in their lives. 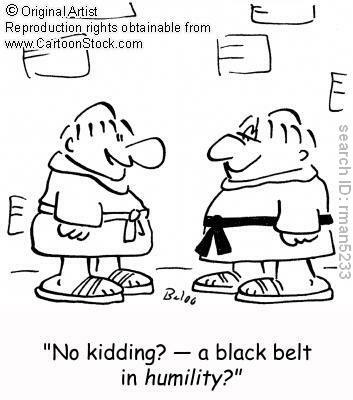 Humility is often born from great difficulty. I want to be humble. I want to stand out from the rest because of who I am as a person. I want to be secure in who I am as a person but not focused on myself. I want to give more than I take. I want to be the opposite of self-centred, selfish, and egocentric. I don’t want pride in my life. I want my life to reflect Jesus, the most humble – and only perfect – person to ever walk the face of the earth. Speak as little as possible about one’s self. Don’t desire to manage other people’s affairs. Accept contradictions and correction cheerfully. Pass over the mistakes of others. Accept being slighted, forgotten and disliked. Be kind and gentle even under provocation. Never stand on one’s dignity. I realize just how far I am from being humble. That realization may well be the seeds of humility.